Setia Sky Residences is located in the heart of Kuala Lumpur city center, at the intersection of Jalan Tun Razak and Jalan Raja Muda Abdul Aziz. It is easily accessible via a comprehensive network of city routes, highways and public transportation system, into and out of the city centre. 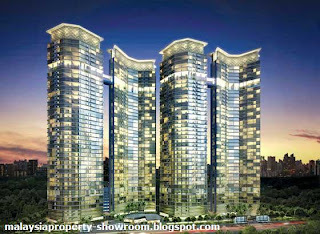 Setia Sky Residences in a freehold luxury serviced apartment with a total of 844 units. The built-up area ranging from 1,044 to 1,679 sq.ft. Setia Sky Residences offers a wide range of facilities and services amidst generous spaces and luxurious comfort. From relaxation to entertainment, modern day needs are encompassed within this exclusive development. Built-up Area : 1,044 - 1,678 sq.ft.